If you aren’t familiar with the Ford Racing School at Miller Motorsports Park in Tooele, Utah, you are really missing out. It is driving school run by the Miller in conjunction with Ford Racing that allows owners of Focus STs, Mustangs, and Raptors the opportunity to learn how to make the most of their vehicles by training in a controlled environment with the help of professional instructors. Don’t be fooled by the Boss 302 wheels. Those were just on loan to this car. The Miller Motorsports Park Ford Racing School Mustangs start out as 2015 Mustang GTs with the Performance Pack option. This is one of the cars awaiting its graduation from street car to school car. While the school employs production vehicles as school cars, these vehicles often need a few safety and performance enhancements to make them suitable for the rigors of daily instruction in a high-performance environment. In the case, of the Mustangs, the school got its start with S197 Mustangs and eventually added in Boss 302s for the short-run of Boss Track Attack schools. 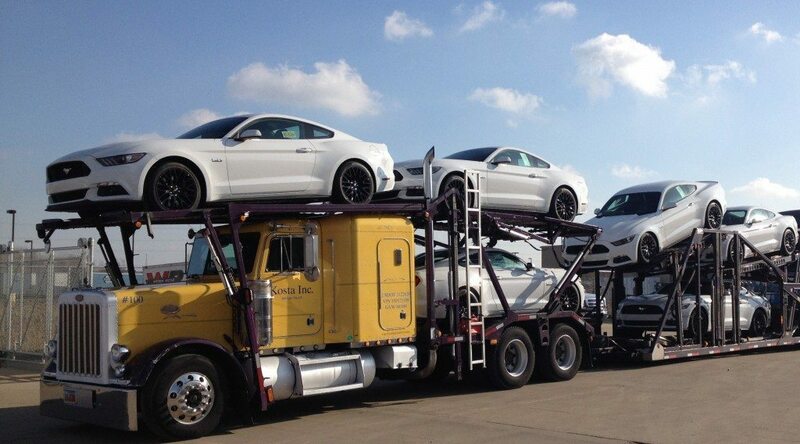 With the advent of the 2015 Mustang, it was time to upgrade the fleet. As such, the school stepped up its Boss 302s for the advanced school, and replaced its early S197s with a new fleet of 2015 Mustang GTs equipped with the Performance Pack option. While these are capable vehicles, they really needed roll cages to ensure the safety of the students. Of course, with many of the students being new to the arts of high-performance driving, the school wanted a unique cage that would bolster the car, but not make the students feel clausterphobic. To make this happen, the school turned to the experts at Watson Racing. The process starts by partially disassembling a perfectly good new Mustang. The Watson Racing crew removes the entire interior, including the dash, and pulls out the factory glass to make way for the cage install. You might be familiar with Watson for its involvement with Cobra Jets and Boss 302R race cars. The company is truly a multifaceted performance outfit that is making a big push into the performance aftermarket, as evidenced by its striking 2015 Mustang project that debuted at last year’s SEMA Show. With the interior out of the way, the process continues by removing the sound deadener and seam sealer from the prescribed anchor points for the roll cage. Clearly this car is in process, and all the debris will be vacuumed out before the car moves onto the next step. Clearly the Ford Racing School turned to the right company to perform these conversions. Watson is quite familiar with the Mustang platform, and can add what it has learned along the way. We happened to be in town while these conversions were taking place, so we dropped by the Watson Racing facilities to document the work that goes into these school cars. At some point, we hope to get behind the wheel of one and see how it works out there on the track. For now, however, let’s see how a Ford Racing School Mustang is born. You can see we weren’t kidding about removing the interior from the car. The HVAC system, parking brake handle, and door panels are all that remain inside the car. The Watson crew removes enough sound deadener to safely allow for the welding of the roll cage floor pads. The challenge of fitting a cage into a production car is protecting the car from the labor of the conversion. Welding and painting will be going on inside the car, so Watson masks off all the painted surfaces. With the pads welded in, it’s almost time to move onto the next stage. Here’s a look at rear floor pads. Their mounting location necessitates removing the rear seat from the equation. All that’s left is to clean up the debris and it’s cage time. The cage must be assembled in pieces in the car with the front bars and dash going in at the same time. These are some of the tubes that make up the cage. From the treatment given the ends of these tubes, you can see the level of fit and finish that Watson Racing brings to its parts. To make room for the front bars of the cages, the dashes in the school cars must be cut. Here you can see that the airbag-equipped glove-box door gets a slight trim. The dash and front bars must go in at the same time, and once the cage is welded in, the dash won’t come out without cutting those front bars. With the bars installed and the dash bolted up, it’s time to weld in the cage. Even more important than masking the painted surfaces, welding blankets protect the dash and door panels from any stray sparks. After the cage is welded in place, it is paint-matched to the cars exterior. All this work is done on-site at Watson Racing. In this shot you can see just how married the dash and front bars are. While keeping the cage tight to the roof will make students far more comfortable on-track, it does complicate the reinstallation of the headliner. It must be sectioned in order to fit around the bars. Before the headliner goes in, the Watson Racing team installs this rear-seat close out panel. It fits around the cage and seals off the trunk from the passenger compartment. Here’s the interior all caged and re-assembled. The car is now ready for transport out to Miller Motorsports Park where it will receive racing seats, harness belts, and other tweaks before it hits the on-track classroom. Besides their destiny as Ford Racing School cars, these 2015 Mustang GTs are pretty unusual because of how they are ordered. The only optional equipment is the Performance Pack. Here is a completed, caged 2015 Mustang ready for shipment to Miller Motorsports Park. In addition to a final round of performance mods, these cars will receive the graphic treatment you see in our featured image. If you have ever thought about attending a performance driving school, we can’t recommend the Ford Racing School highly enough. And, if you do attend, you might just get to drive the car you see right here.